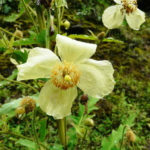 Meconopsis autumnalis is an erect, monocarpic herb up to 5.2 feet (1.6 m) tall. 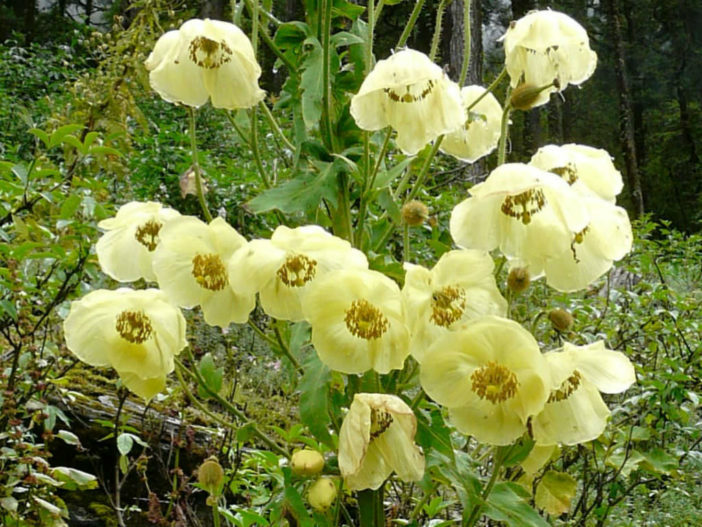 Basal leaves are green, up to 2.2 inches (5.5 cm) long and up to 0.6 inch (1.5 cm) wide, grouped in large rosettes. 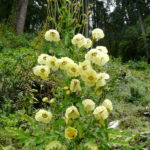 The petioles are up to 1.2 inches (3 cm) long. 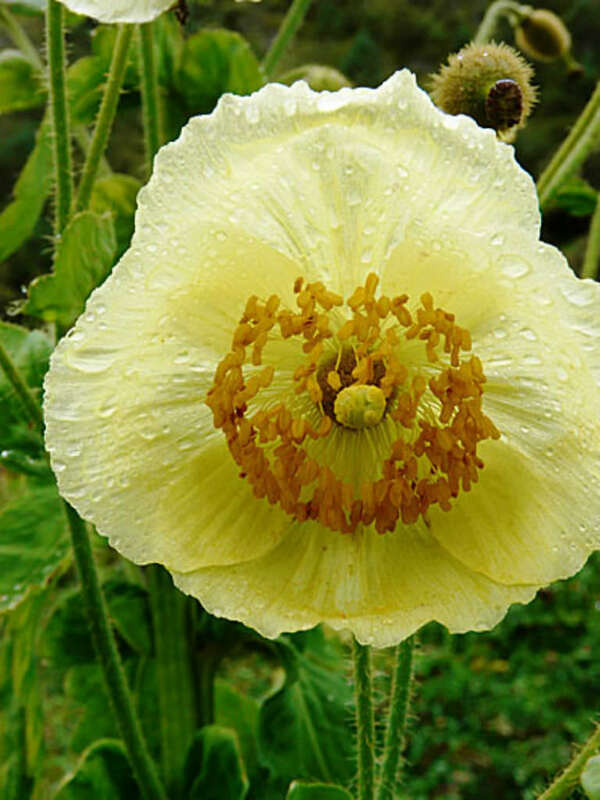 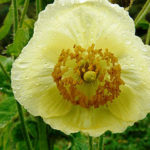 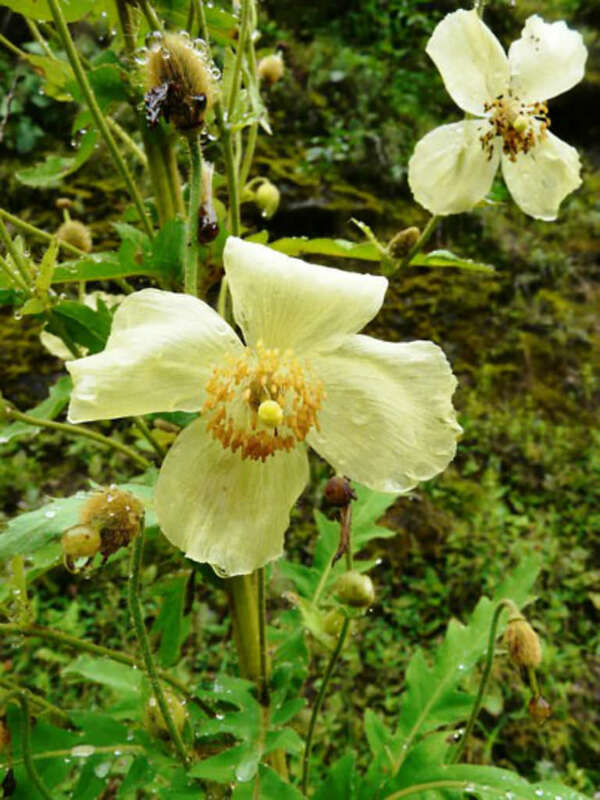 The flowers are pale yellow and up to 2.2 inches (5.5 cm) in diameter. 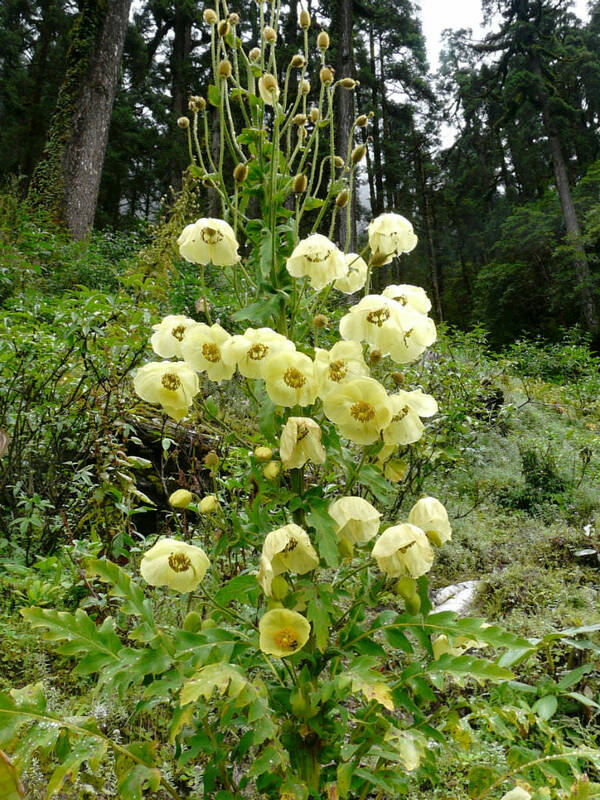 It is endemic to the Ganesh Himal range of central Nepal.